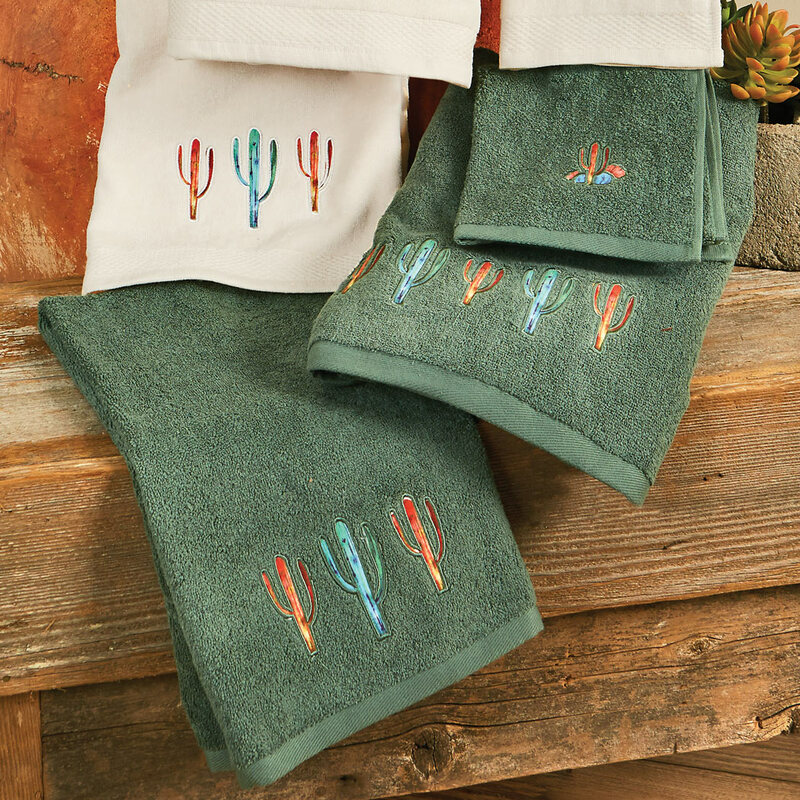 A Lone Star Western Decor Exclusive - This embroidered cotton-blend towel set adds a whimsical western look to your bath. Include bath towel, hand towel and fingertip towel. Machine wash. Bath towel: 27"W x 52"L; Hand towel: 16"W x 32"L; Fingertip Towel: 13"W x 14"L Allow 1 to 2 weeks.